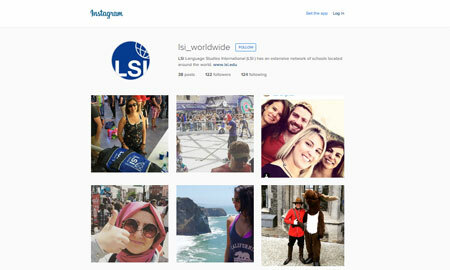 LSI have just launched our new LSI Worldwide instagram account. With photos from students past and present, photos of LSI events and trips out, and new installations in our schools, we plan to give a real insight into the magic of studying with LSI! If you’ve studied with us and have some photos you’d like to share from your own instagrams, please tag your photos with #lsistudentlife. Check us out at LSI Worldwide. For more LSI on Instagram, see the great photos on LSI Toronto and LSI Vancouver.